The Life and Labors of Rev. Levi K. Derr, D.D. Reading, PA: Daniel Miller Pub., 1907. Bound in gray cloth, stamped in gold. No Dust Jacket. A scarce (no copies on OCLC/Worldcat). An 83 pp. biography of the Reverend Derr, with historical notes on Lehigh County, Tamaqua, etc. Small scrape to top of cloth. . First Edition. Hard Cover. Very Good +/No Jacket. Philadelphia: Heidelberg Press, 1923. Bound in blue cloth, stamped in gold. No dust jacket. The first edition of this book on recreational activities in Japan in the 1920's. 200 pp. Scarce -- only 7 copies on OCLC/Worldcat. . First Edition. Hard Cover. Very Good +/No Jacket. Reading: Pilger Books, 1883. Bound in green patterned cloth, stamped in gold. Previous owner's neat signature to second free endpaper. A "near fine" copy of this Biography of Luther -- scarce in this protected condition. 336 pp.. Third Edition. Hard Cover. Very Good ++/No Jacket. NY: HarperOne, 2001. Bound in black and blue boards in matching, illustratred dust jacket. A 646 pp. 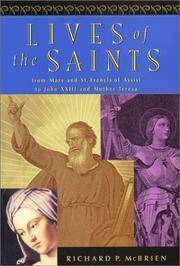 book on the Lives of the Saints. An "A to Z" guide to the Saints. Tight, clean copy. . First Edition. Hard Cover. Near Fine/Near Fine. San Francisco: Ignatius Press, 2011. Bound in black boards, stamped in silver in illustrated dust jacket that shows a picture of the Pope on the front panel. 270 pp. book on Pope Benedict XV!. . First Edition. Hard Cover. Near Fine/Near Fine. London: A.R. Mowbray, 1915. Previous owner (rector) neat inscription to front endpaper dated 1916. Bound in cream colored self-wraps with colorful illustration to front panel of Mary with Angels. 45 pp. Color Illustrations. . Second Edition. Soft Cover. Very Good +/No Jacket. CT: Easton Press, 2013. Bound in full black leather, stamped in gold, all edges gilt. silk ribbon marker. This is #444 of a press run of 800 copies with Certificate of Authenticity. Housed in the publisher's matching clamshell box. Perfect for gift giving. A facsimile copy of the 1717 Oxford Edition with original illustrations. . Facsimile Edition. Full Leather. Fine/No Jacket - As Published. 8vo - over 7¾" - 9¾" tall. (no place): (no publisher), 1980. Bound in cream colored wraps -- stamped in black. A 27 pp. history of Cochranville, Chester County PA. Exceedingly scarce -- only one copy in OCLC/Worldcat. . First Edition. Soft Cover. Very Good/No Jacket. 8vo - over 7¾" - 9¾" tall. Allentown, PA: Salem Church, 1975. Bound in stapled glossy white wraps. A 38 pp. history of the church -- toning to page edges. Inscribed and signed by the author on the title page. . Inscribed and Signed. First Edition. Soft Cover. Very Good +/No Jacket. OH: United Church Directories, 1994. Bound in stiff, glossy white illustrated wraps. This is a 60 pp. book full of photographs of parishioners in 2008. 16 color photos per page. . First Edition. Soft Cover. Very Good +/No Jacket. 4to - over 9¾" - 12" tall. TN: National Directory Services, 1988. Bound in stiff, colorful boards, spiral bound. This is a 32 pp. book full of photographs of parishioners in 2008. 16 color photos per page. . First Edition. Hard Cover. Near Fine/No Jacket. Spiral Bound. Collegeville: Always and Forever, 2009. Bound in stiff, colorful boards, spiral bound. This is a 30 pp. book full of photographs of parishioners in 2009. 20 color photos per page. Contains a five page history of the church. . First Edition. Hard Cover. Near Fine/No Jacket. Spiral Bound. Philadelphia: Westminster Press, 1974. Bound in glod cloth and green boards, stamped in black -- in matching illustrated dust jacket. 124 pp.. Signed By Author. First Edition. Hard Cover. Near Fine/Near Fine. West Reading, PA: Riecks Printing, 2004. Bound in light blue cloth, stamped in gold with a picture of the church in gold to the front panel. A 76 pp. history of the church and the parish on it's 100th anniversary, lots of black and white and color photographs, Quality publication. . First Edition. Hard Cover. Fine/No Jacket - As Published. 4to - over 9¾" - 12" tall. PA: Lutherian Historical Society, 2009. Printed in stiff color illustrated wraps. Sprial bound. A great history of early Lutheran churches in Eastern PA. 135 pp. Many photographs. . First Edition. Soft Cover. Very Good +/No Jacket - As Published. 8vo - over 7¾" - 9¾" tall. Spiral Bound. London: Religious Drama Society, 1962. Bound in red stiff wraps, stamped in black. 68 pp. + ads. Toning to edges.. First Edition. Soft Cover. Very Good/No Jacket. 8vo - over 7¾" - 9¾" tall. London: Religious Drama Society, 1964. Bound in stiff wraps, stamped in black. 34 pp. + ads. Scarce title. . Reprint. Soft Cover. Very Good/No Jacket. 8vo - over 7¾" - 9¾" tall. London: Religious Drama Society, 1964. Bound in stiff wraps, stamped in black. 48 pp. + ads. Toning to edges.. Reprint. Soft Cover. Very Good/No Jacket. 8vo - over 7¾" - 9¾" tall. London: Religious Drama Society, 1959. Bound in stiff wraps, stamped in black. 65 pp. + ads. Toning to edges.. First Edition. Soft Cover. Very Good/No Jacket. 8vo - over 7¾" - 9¾" tall. Das Amt der Schlüssel und die Beichte, die Haustafel, in hübschen Bildern für liebe Christenkinder. Reading, PA: Das Amt der Schlüssel und die Beichte, die Haustafel, in hübschen Bildern für liebe Christenkinder., 1880. Exceedingly scarce Martin Luther pamphlet published in Reading, PA in German in the 1880's. Only one copy on OCLC/Worldcat. 16 pp. Sewn wraps. Title in red and black; text in decorative red border. Text in German. . First Edition Thus. Soft Cover. Very Good/No Jacket. 16mo - over 5¾" - 6¾" tall.